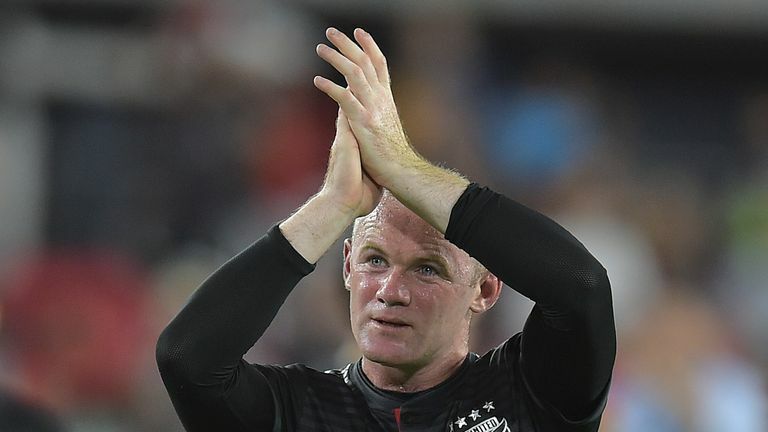 Wayne Rooney's impact at DC United following his arrival in June has been monumental. Prior to his signing, United footed the Eastern Conference with just 11 points from 14 matches, and a play-off push looked considerably unlikely with the team at that stage 13 points behind sixth-placed Philadelphia Union. However, since making his MLS debut, that coming in a 3-1 win over Vancouver Whitecaps, only New York Red Bulls (33) have won more points than DC United (30). Indeed, Rooney's influence in the final third has played a significant role in their surge up the table to move them to within two points of a play-off spot with just four games left to play. With two games in hand on those above them in the Eastern Conference, you would expect DC United to finish in the top six, which would be a huge accomplishment all things considered. The 32-year-old's form in and around the opposition goal has been crucial to the U-turn in results, with Rooney's good performances having a positive effect on those around him. Of course, the introduction of a recognised star player in the XI was always going to see a boost in performance levels and Rooney with DC United is no different. In the games before the striker's debut, DC United's WhoScored.com rating was just 6.67, that the fourth lowest of all 23 MLS teams in that period. Since making his debut, however, DC United's WhoScored.com rating of 6.88 is the second best in MLS. The change in fortunes is in part due to Rooney's performances, with the former England international's WhoScored.com rating (7.46) better than any other DC United player and the 12th best return in MLS. Eight of the 11 wins they have to their name this season have come with Rooney featuring from the off, while returns of 2.07 goals scored and 1.29 goals conceded per league game with the forward starting are huge improvements compared to when he does not start (1.63 and 1.94, respectively). Rooney alone has had a direct hand in 15 of the 32 goals DC United have scored since his debut, netting nine and providing a further six assists. Those in support of the striker have also benefited tremendously. Take for example Luciano Acosta. The Argentine is DC United's second-highest rated player for DC United, with a WhoScored.com rating of 7.31. He has nine goals and 14 assists to his name - the latter more than any other player in MLS - but his goal and assist output has improved massively with Rooney leading the charge. Indeed, before Rooney made the move to Washington, Acosta had just six assists and one goal to his name to help return a WhoScored.com rating of 6.98. After Rooney's debut, though, the 24-year-old has scored an additional eight goals and provided eight assists to gain a WhoScored.com rating of 7.56. Four of the six assists Rooney has registered, meanwhile, have been for an Acosta goal, including a memorable one in DC United's late 3-2 win against Orlando City at Audi Field, with that in turn one of the best assist-to-goalscorer combinations in MLS this term. Yamil Asad is another whose goalscoring burden has been eased by Rooney's arrival, with seven of his nine goals coming before the latter's July debut, with their now less pressure on the Argentine to consistently hit the back of the net, safe in the knowledge that he now has a top-class striker operating ahead of him to score. With Rooney not a conventional striker either, routinely showing a willingness to drift wide or deep, he has the ability to drag defenders out of position, which aids those starting behind him in attack as it opens up space to be exploited in the final third. Either way, if DC United, as expected, do make the play-offs - they are currently on a six-match unbeaten run after all and are one of the better placed teams to secure the points total required to finish the top six - then they will owe Rooney a huge debt of gratitude given the impact he has made upon his arrival from Everton. With three of their four remaining league matches coming at Audi Field, they will be confident of gaining the necessary points required for a play-off push and a shot at the MLS Cup, particularly with Rooney in such a rich vein of form coming into the final stretch. 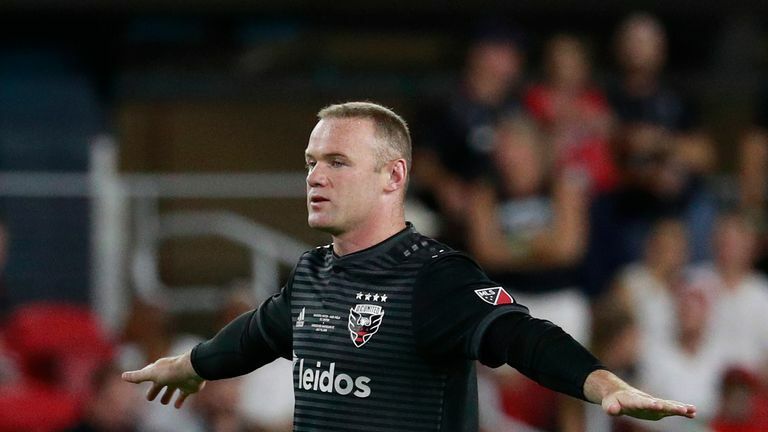 His trophy-winning expertise will be a huge advantage for DC United over the coming weeks with Rooney having had a direct hand in a goal in five of his last six appearances, with his double at the weekend ensuring he has scored two or more goals in back-to-back league matches for the first time since April 2012. With four games to play, Rooney will look to continue his superb attacking showings as DC United aim to secure a play-off finish when such a feat seemed unimaginable earlier in the year.